Roasted chicken is on dinner rotation in our households and we’re always looking for fun ways to spice it up. Lately, we’ve loved seasoning our weeknight bird with Baharat, a traditional, all-purpose Middle Eastern spice blend. Smoky, yet sweet, Baharat adds loads of depth and flavor to chicken (we prefer thighs over chicken breasts). It’s also tasty on lamb and stirred into soups. 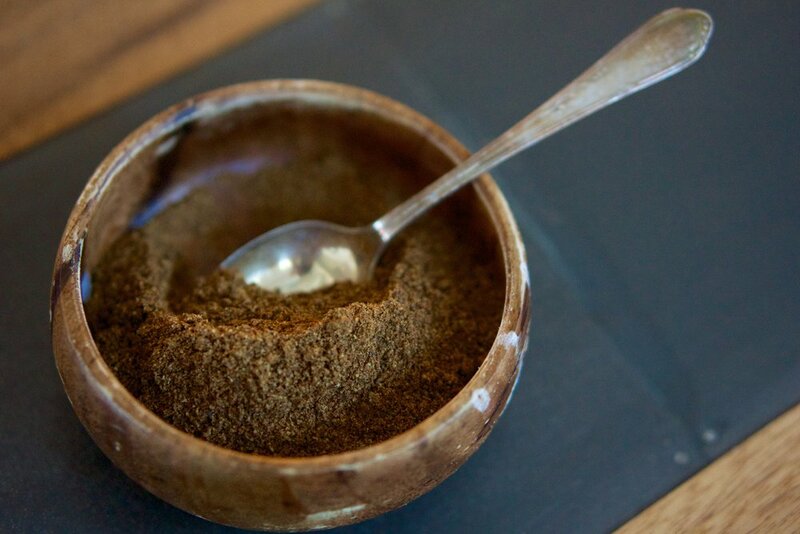 If you can’t find Baharat at your local grocery store, don’t fret – Making your own is simple! The recipe for Baharat varies by region and you’re bound to find numerous combinations, but this is one of our favorite blends. If using whole spices, first grind them in a mortar and pestle or spice grinder. Thoroughly combine all ground spices and store in an airtight container until ready to use. Preheat oven to 400ºF. Rinse chicken thighs and pat dry with paper towels. Season both sides with kosher salt and then sprinkle a generous amount of Bahārāt on both sides. Heat 2 Tablespoons of ghee in a large oven-proof skillet (like cast iron) over medium high heat or divide the ghee between 2 smaller skillets. Carefully place the chicken skin side down and sear for about 4 minutes, until skin is brown and crispy. Flip the chicken over, turn heat down to medium and sear for another 3 minutes. Transfer the skillet(s) to the preheated oven’s middle rack, uncovered, and roast until cooked through, about 15- 20 minutes. Using an oven mitt or kitchen towel, carefully remove the pan from the oven and transfer the chicken to a cutting board to rest for about 5 minutes. Serve hot!